OPEN TO EVERYONE…not just volunteers! Learn different communication styles and modalities in which you can interact and build positive relationships with our participants. Break out your best pair of boots to stroll along the boardwalk on June 8th at Red Tail Farm. with a little shore flare! Sponsorships: All sponsorships include corporate recognition (name/logo) in eCurrent newsletter, email invitation (to over 1,500 constituents across Central NJ and NYC), event press releases, on the Boots on the Boardwalk event webpage and in our annual report. Sponsor name prominently featured during the event, social media exposure, and a link to your website on the event webpage. Signature Sponsors receive additional benefits befitting this level. Reserve Your Seats Now! Tickets: Tickets are $125 each without reserved seating but still tons of fun. Grab them while they last! Auction Items: Have a great vacation rental, experience or spa package you would be willing to donate? We are looking for awesome items that keep the crowds coming back year after year? Donate Now! 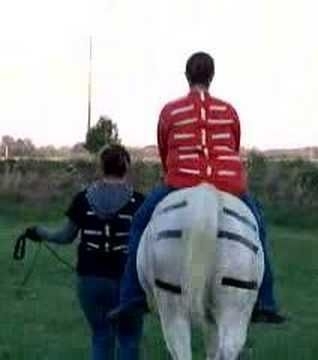 This American Hippotherapy Association course is designed for licensed PT’’s, OTs, SLPs, PTAs, OTAs, and SLPA’s and it is strongly recommended that therapists complete 30 hours incorporating hippotherapy as a treatment tool/strategy prior to taking Level II to most effectively benefit from the treatment sessions conducted during the course. Attending therapists must attend all four days of the course to receive a certificate of attendance. This curriculum is the follow up to AHA, Inc. Treatment Principles – Level I, with an emphasis on atient treatment and more advanced equine knowledge necessary for hippotherapy as an equine discipline. *You can only be enrolled in this course through the AHA website or by contacting the office. What is long lining? Why do we do it? What are the advantages & limitations? This is a great opportunity for volunteers who would like to learn more about long lining AND for the current longliners to brush up on their skills! This is a classroom based experience with a long-lining demonstration. This two-day course applies sensory integration theory, reviews neuroanatomy, and covers horse selection and use of the environment to address sensory processing challenges. 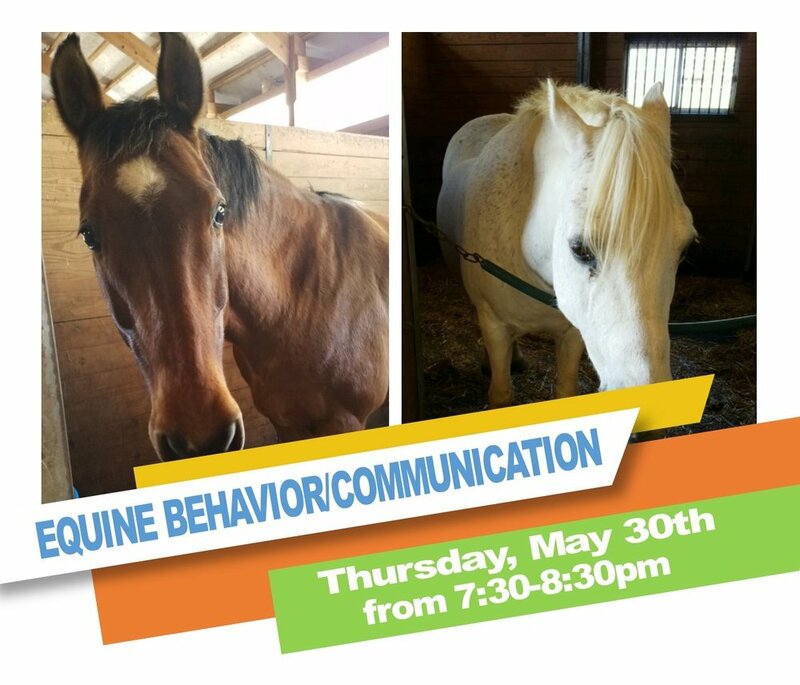 Through interactive discussions, attendees will gain an understanding of treatment for children with sensory processing challenges using equine movement and in the equine assisted therapy environment. Video of children with sensory processing challenges and behavioral expectations that are affected by the child’s sensory processing difficulties will be discussed. Attendees will be provided an opportunity to engage in hands-on activities and clinical reasoning as part of the course to ensure learning is carried over to the therapists' home practice. Intended Audience: This course is intended for Occupational Therapists, Certified Occupational Therapy Assistants, Physical Therapists, Physical Therapy Assistants and Speech Language Pathology Professionals who are incorporating hippotherapy/equine movement into their practice. Waiting list only, though the first 1-3 people usually have the opportunity to join this training session. Be an integral part of our participants experience by learning the basics of sign-language and additional equine and riding related signs. Taught by Christine Chynoweth, an ASL teacher in a NJ school district. You’ve been through orientation and training but...you want more time to brush up your skills! What do you use first, the curry comb or the shedding blade? Learn without the stress of a deadline so that you are comfortable when you show up for your volunteer time slot. You know where the head and tail are, now learn about everything in between! What a stifle? Where is it located? Why does a horse need one? This interactive workshop will give you the insight on why we transfer clients the way we do using the lift and so much more. Holiday Open House - Let's Celebrate!! Come take pictures with your favorite Mane Stream horse and give them a sweet treat or two (candy canes, carrots or apples)! Whether you stay for 5 minutes or stay the whole time, we hope you’ll stop by and celebrate with us! If you would like bring a snack to share please contact Rebecca Jablonski (volunteer@manestreamnj.org) so that we can plan appropriately. THANKS! 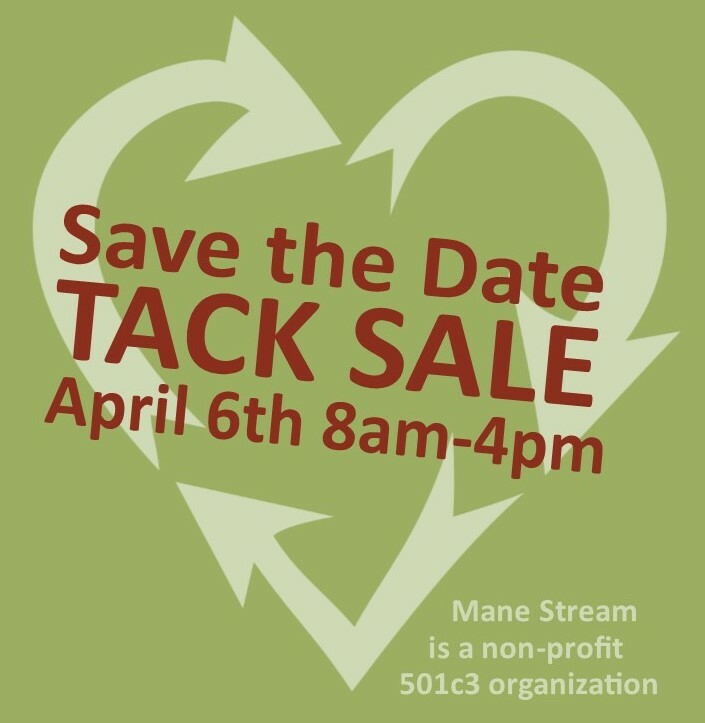 MANE STREAM FALL TACK SALE! 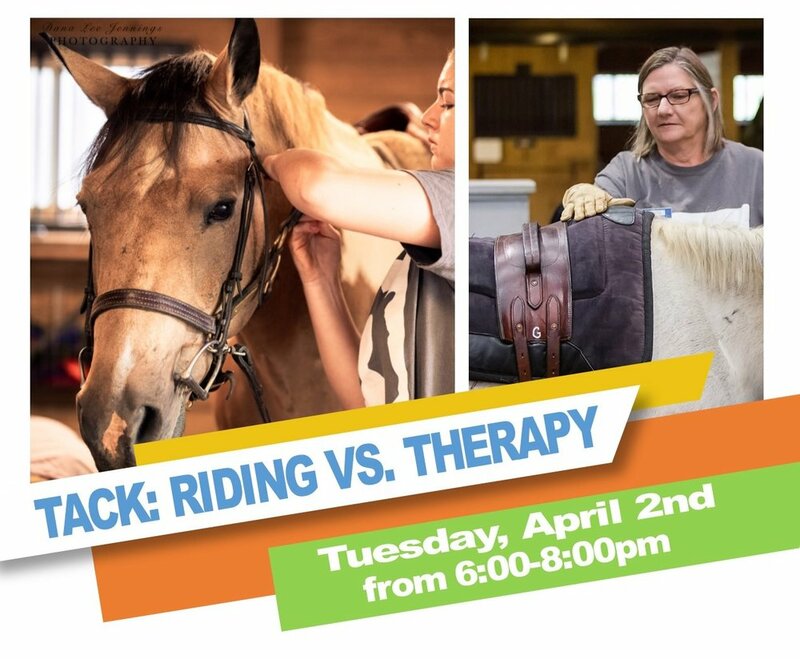 Everyone is welcome to come listen, learn and watch as 4 Mane Stream volunteers (who RSVPd first) get up on our therapy pony Minnie to see how equine movement works and how it is used in a therapy session. 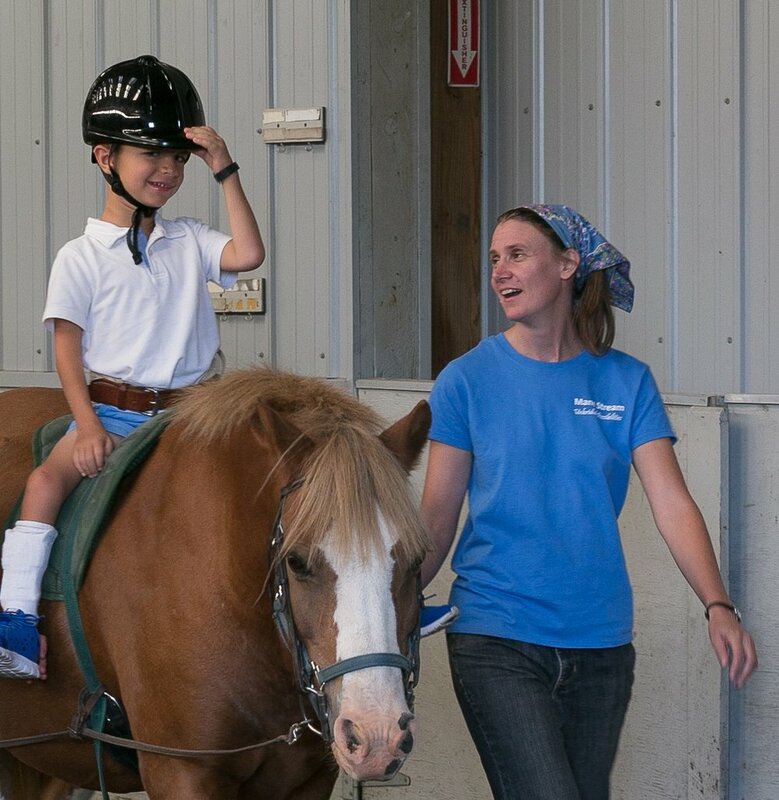 You’ll also learn about the different movement our therapy ponies provide! But you can bid on auction items from the comfort of your sofa! Join us for an experience that you won't forget! ...take a torch to tradition! Did You Miss Out on a Ticket? You can still support Mane Stream by bidding (from the comfort of YOUR sofa) on some pretty scorching auction items. 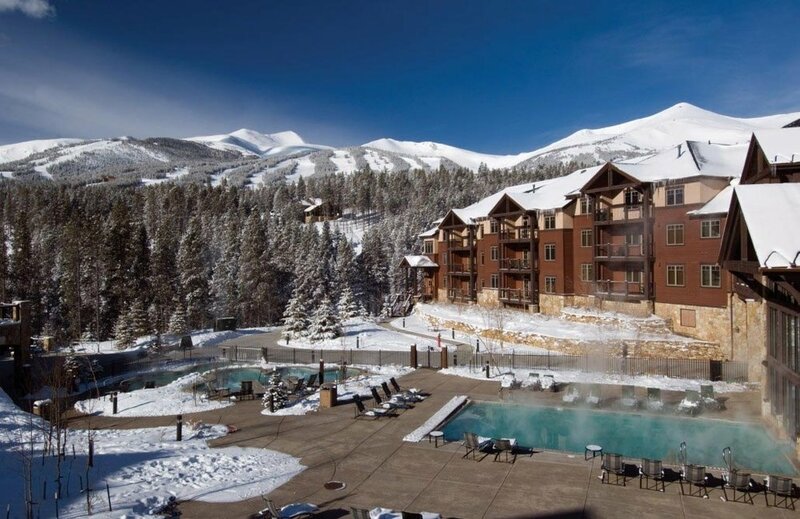 We’ve got something for everyone…vacation locations, sporting events, spa experiences and more. Take a look at the growing list! Please consider making a donation in support of our equine related activities! Currently ranked 7th in the world, para-equestrian, Alanna Flax-Clark of Flemington, NJ is shown riding El Paso (aka Taco). Oldwick /Tewksbury – After competing internationally for less than two years, Alanna Flax-Clark is currently ranked 7th in the world for her classification in para-dressage. She is training for the Paralympics in 2020 with her Dutch Riding Pony, El Paso at Sara Schmitt Dressage located in Oldwick. After years of illness, hospital stays and surgeries she found horses when she needed them most and will share her journey on Thursday, October 4th at 7PM. All are welcome to the Mane Stream farm to hear first-hand how horses gave Alanna back her life and independence. Don’t miss out on Alanna’s motivational story of determination. Please RSVP letting us know you would like hear Alanna’s motivational story. Come learn the basics of American Sign Language then put it to use with some of our participants. Taught by Christine Chynoweth, an ASL teacher in a NJ school district. Calling ALL Riders...It's time to show your stuff...and have FUN!! Entry Fee minimum $50/rider, which includes 2 classes to be judged by a guest judge with Instructors creating class and horse assignments ($60 entry fee after September 30th). All riders are encouraged to raise additional funds to support Mane Stream. are encouraged to register for the CAMP CLASS!! Prizes awarded for riders who raise the most money, over and above the entry fee, for Mane Stream in the following categories: Riders 4yrs-21yrs & Riders 22yrs and over. While Champion & Reserve ribbons for adult and child for morning and afternoon divisions will be awarded. Rider registration form must be returned to Mane Stream by September 15th (late fee entry is $60). Rider Registration & Donation Forms. Entry fee can be paid the day of the show. Event Sponsors are still needed to ensure this event is a success. Please consider one of the 8 different sponsorship levels available! We are also looking for gifts-in-kind for items like food & drinks or items which can be used for prizes like gift cards, movie tickets, candy, etc. Ready for some football? Only 4 more Jets Games to choose from! The New York Jets are offering discount tickets to their home games to the Mane Stream community. Prices vary depending on the game and Mane Stream gets $10 for every ticket purchased. Parking passes also available. Purchase tickets here. This course applies sensory integration theory, reviews neuroanatomy, and covers horse selection and use of the environment to address sensory processing challenges. 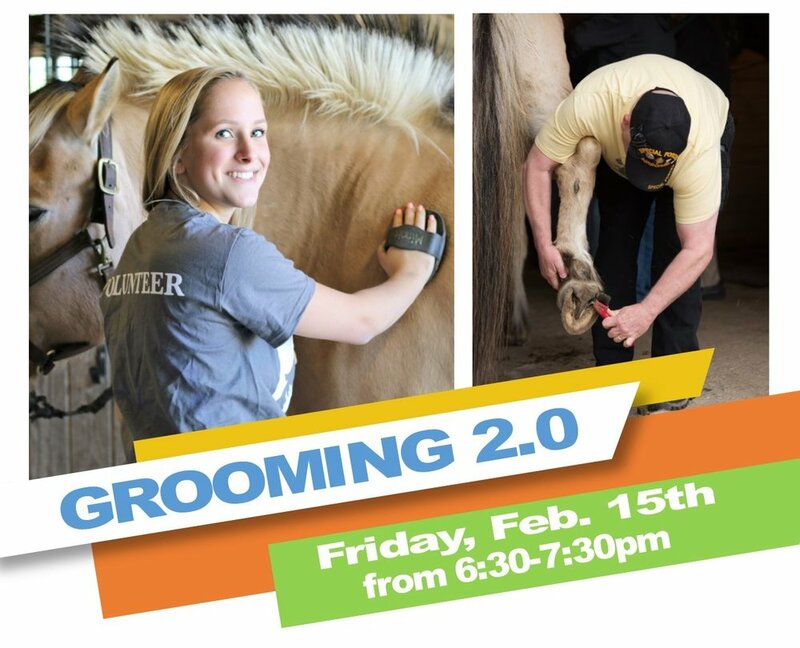 Through interactive discussions, attendees will gain an understanding of treatment for children with sensory processing challenges using equine movement and in the equine assisted therapy environment. Video of children with sensory processing challenges and behavioral expectations that are affected by the child’s sensory processing difficulties will be discussed. Attendees will be provided an opportunity to engage in hands-on activities and clinical reasoning as part of the course to ensure learning is carried over to the therapists' home practice. Intended Audience: This course is intended for Physical Therapists, Physical Therapy Assistants, Occupational Therapists, Occupational Therapy Assistants, Speech-Language Pathologists, and Speech-Language Pathology Assistants who are including hippotherapy/equine assisted therapy in their practice. Prerequisite: Attendance of an AHA, Inc. Level I Treatment Principles course. Attendees must furnish a copy of their Level I Treatment Principles certificate at the time of registering for this course. 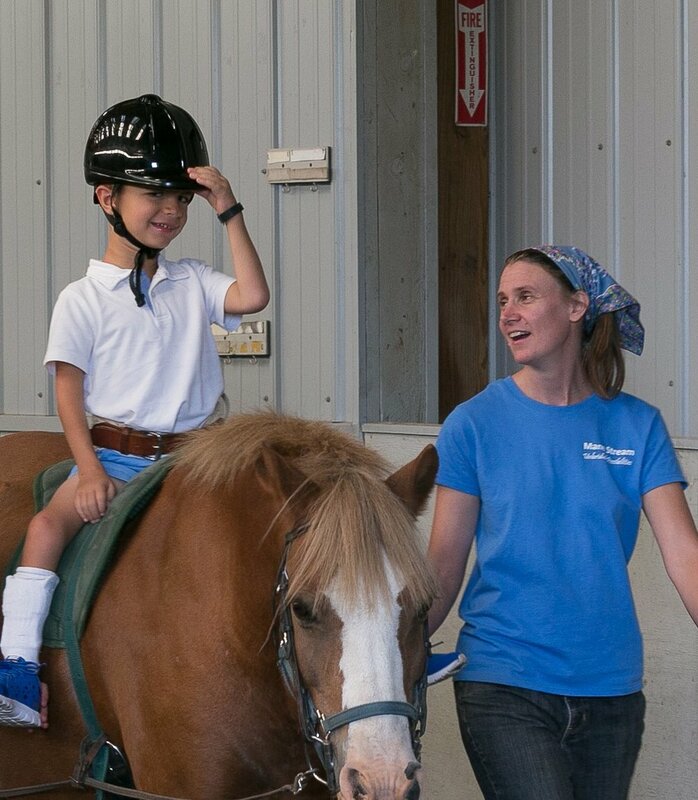 Gina is a New Jersey licensed occupational therapist as well as a Board Certified Hippotherapy Clinical Specialist. She is certified in Sensory Integration and has a strong interest in sensory-based interventions, including Sensory Diets and home programs. 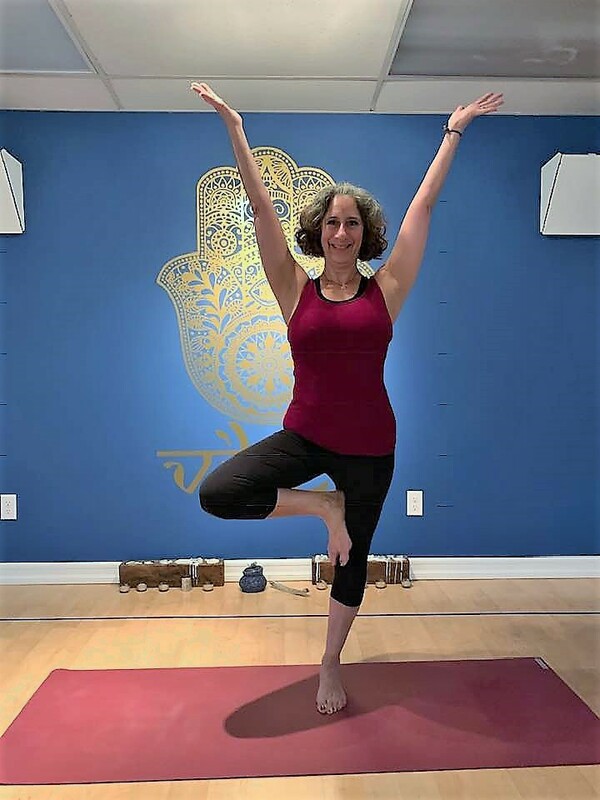 She is an American Hippotherapy Association faculty member and teaches the Level I, Level II, and Sensory Connections course to other therapists using the horse to treat their clients nationally and internationally. Gina continues to expand her knowledge and the knowledge of other therapists about hippotherapy used as a treatment strategy through fieldwork student supervision, national conference presentations and her involvement with the American Hippotherapy Association, Inc. as a faculty member, past Board Member and previous Education Committee Chairperson. Gina has a private practice providing occupational therapy services as well as workshops and consultation for those interested in equine assisted activities and therapy. Gina is also a PATH Intl' Advanced Riding Instructor. This is your chance to talk directly to local EAGALA certified professionals as well as see a demo. Find out more about equine assisted psychotherapy and personal development. This is an overview of the principles of hippotherapy, designed for therapists (PT, OT, SLP, PTA, COTA, SLPA) interested in utilizing hippotherapy in their practice. The first day emphasizes the horse and the importance of the quality of the horse’s movement. Using experiential non-mounted activities, the attendee will learn to interpret the body language of the horse, groom, tack and lead. 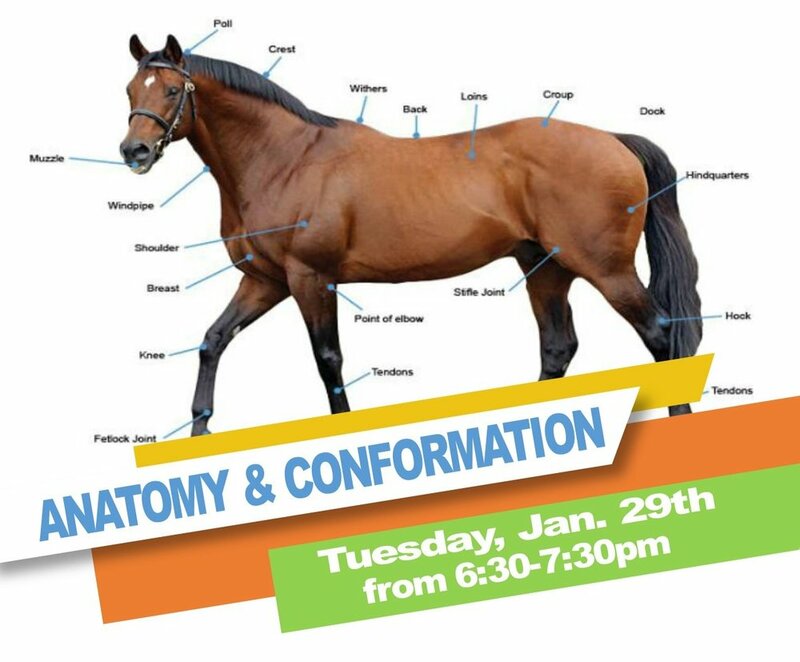 The attendee will also learn to recognize desirable conformation, soundness, movement quality, gaits, and understand training, conditioning and humane treatment of the horse. Building on these equine skills, the attendee will explore the dynamic system of therapist, patient, horse handler and horse as is applied in Hippotherapy. Topics include: the history and development of hippotherapy in the US, understanding the biomechanical and sensory interaction of horse/human, horse selection, safety principles, patient and horse selection, precautions and contraindications, patient evaluation, maximizing the effects of equine movement including use of school figures and movement progression, the role of the therapy team members, documentation, business aspects and current research in the effects of equine movement. Successful completion of the on-line “Intro to Equine Skills” test reviewing equine care and management. Completion of the course must be at least 3 weeks prior to the start of the course. AHA, Inc. staff will confirm with the host site that the test has been completed and passed. The cost of the test is $35.00. PURCHASE "INTRO TO EQUINE SKILLS"
is not cooperating with us! We are disappointed since this would have been a fun event at a historic location. We thank you for your support and if you would like a refund for your previously purchased tickets please email trish@manestreamnj.org. Friday, May 18th @ 7:30 p.m. Families are invited to bring their own picnics, chairs and blankets, for a comfortable evening under the stars. No glass containers, please. Popcorn and drinks will be available for a small donation. The funds raised through this event will support the care of the Mane Stream's hard-working herd. 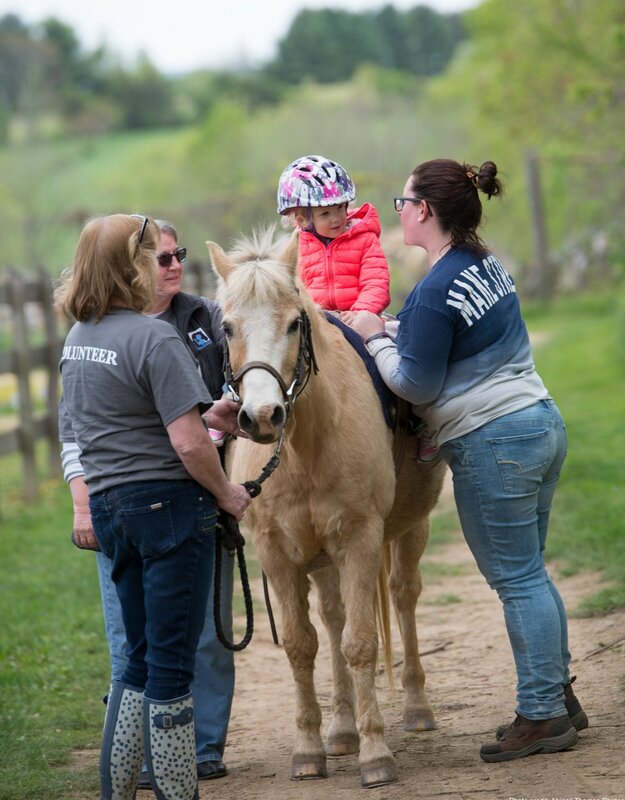 Mane Stream is a 501c(3) organization that provides equine assisted programs for people of all ages with physical, developmental and emotional challenges.